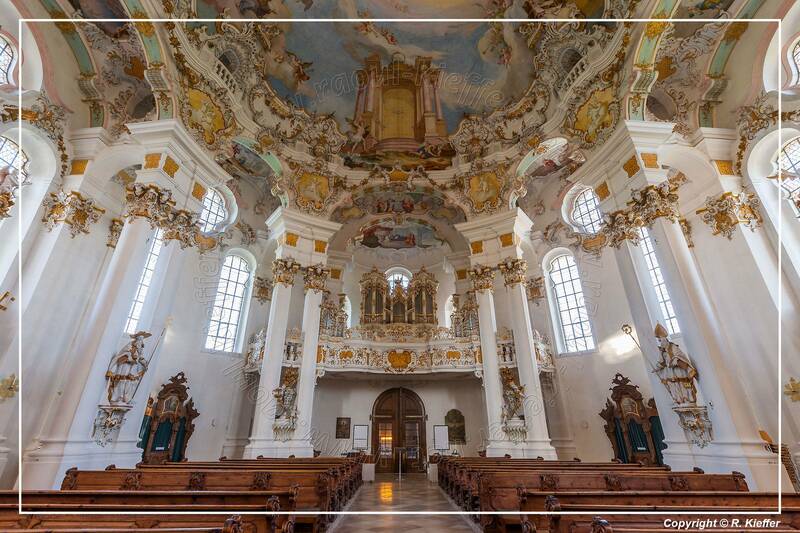 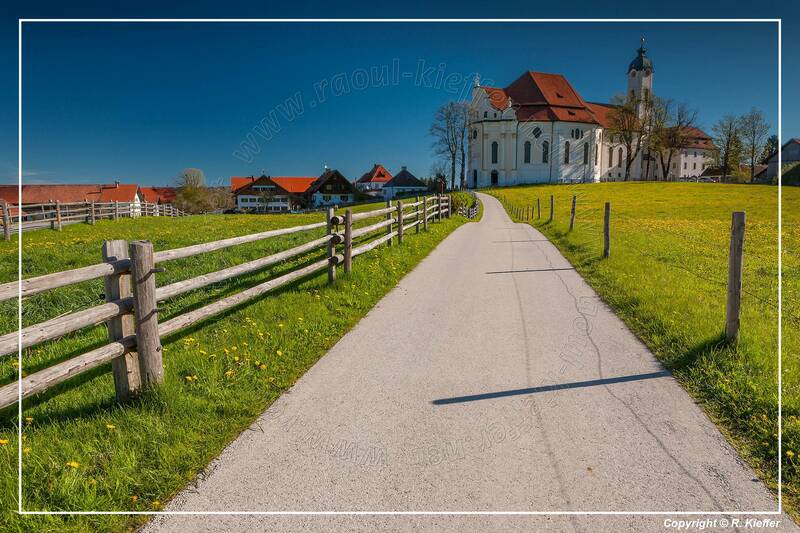 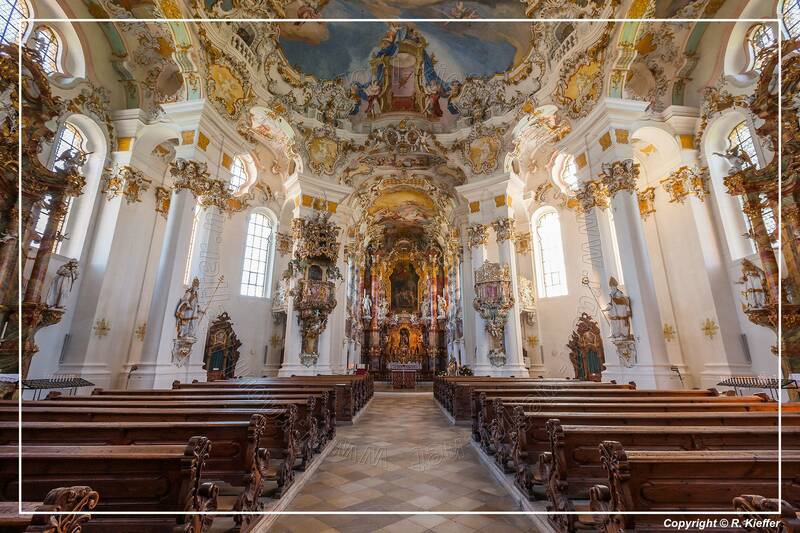 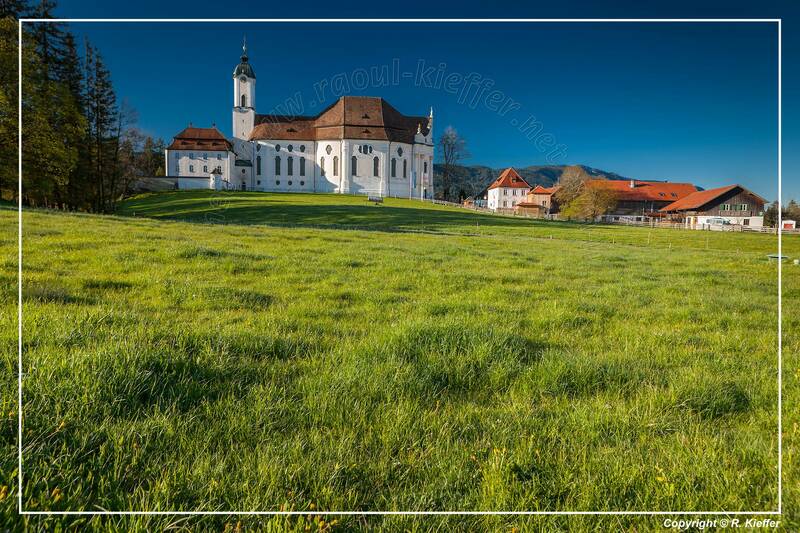 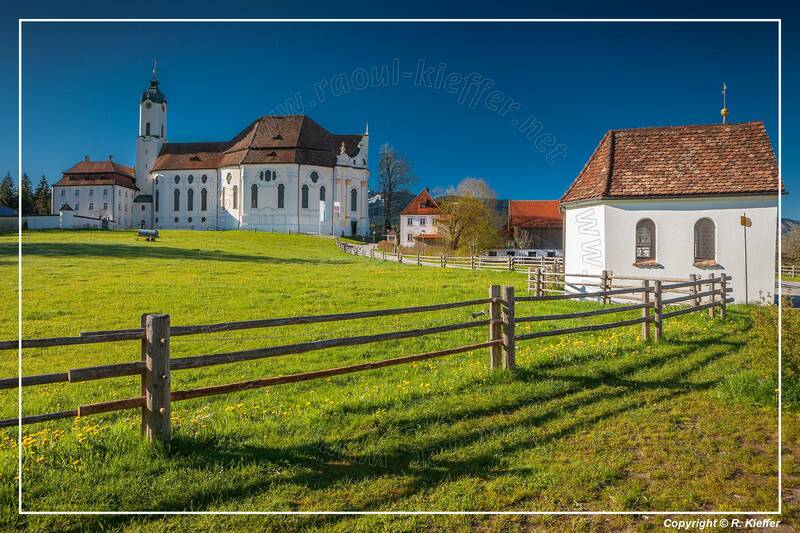 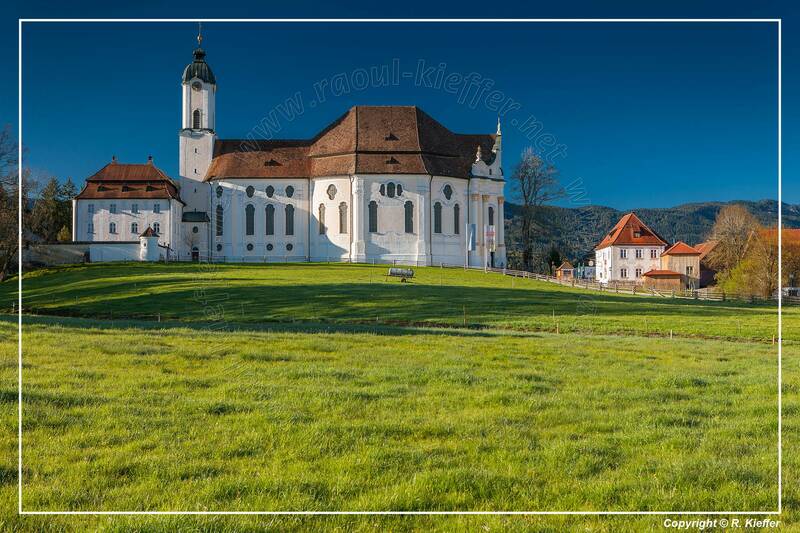 The Wies Church (Wieskirche) is a magnificently decorated Sanctuary belonging to the district of Wies in the municipality Steingaden. 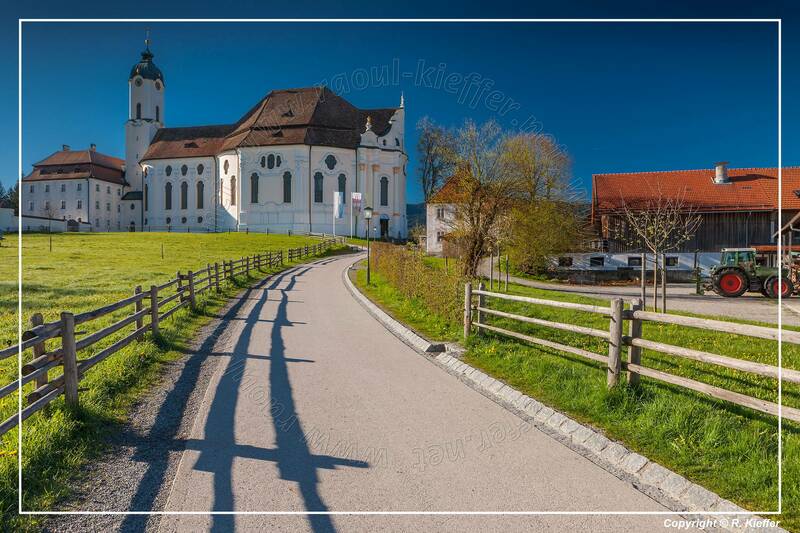 The full name of the Wieskirche is Sanctuary on the Meadow of the Scourged Saviour (Wallfahrtskirche zum Gegeißelten Heiland auf der Wies). 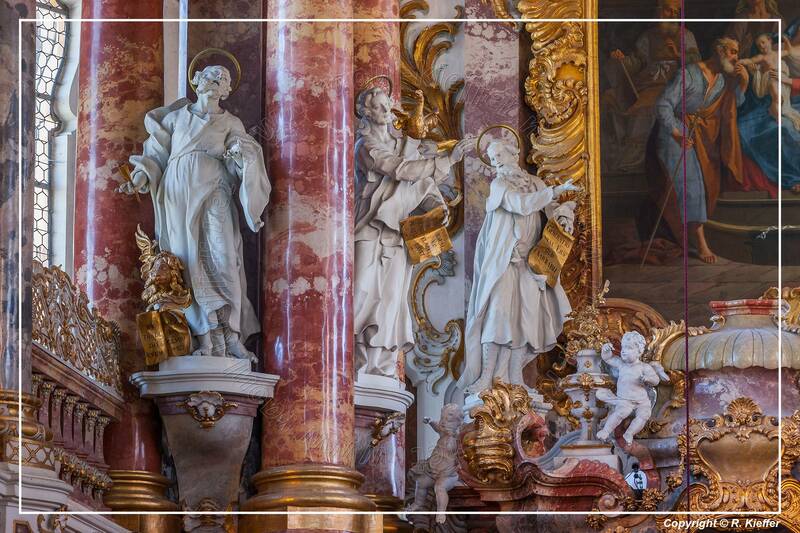 The foundation of the church dates back to a pilgrimage that had existed since 1739. 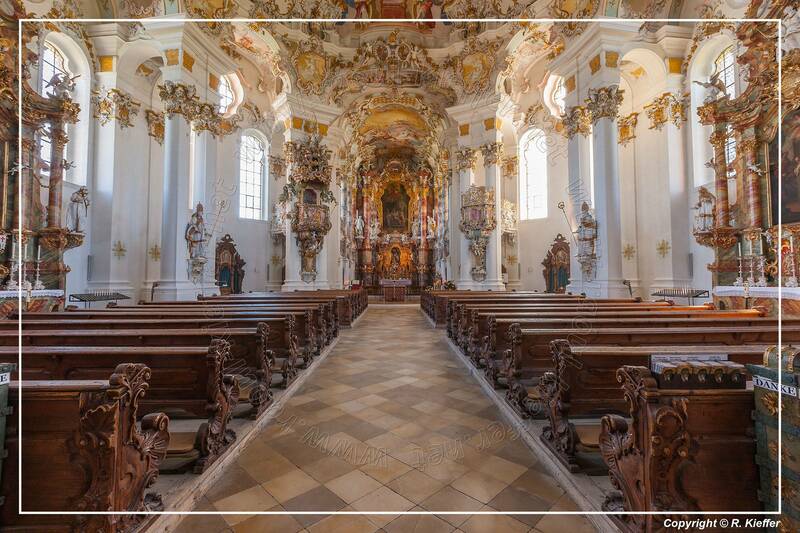 It originated from the worship of a statue of the Scourged Saviour, which was made in 1730 by Father Magnus Straub and Brother Lukas Schweiger in Upper Bavaria Steingaden Abbey. 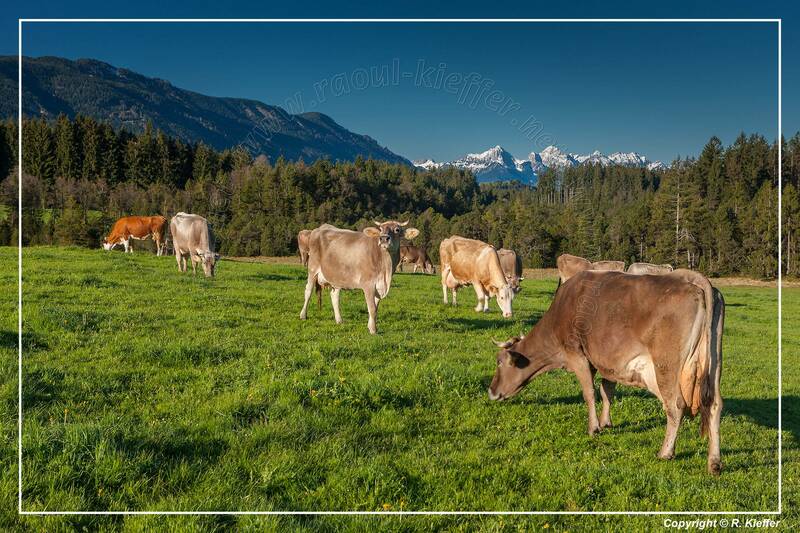 The statue was carried between 1732 and 1734 at the Good Friday procession of the monastery, but came 1738 in private ownership of a farmer on the meadow, the place of the summer resort of the monastery a few kilometers southeast of the village. On 14 June 1738 the farmer Maria Lory noticed in the eyes of the figure a few drops, which she held for tears. 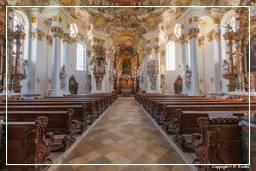 The following year in 1739 prayers and smaller pilgrimages to the statue of the Saviour led to the construction of a small country chapel. 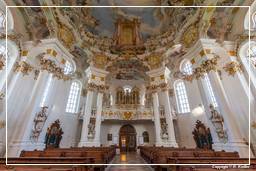 Today Wies Church was built in the style of Rococo in 1745-1754 by the brothers Johann Baptist and Dominikus Zimmermann headed by Abbot Marinus II Mayer. 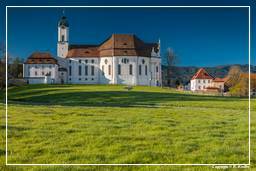 The construction brought the Steingaden Abbey in great financial difficulties. 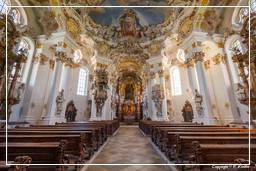 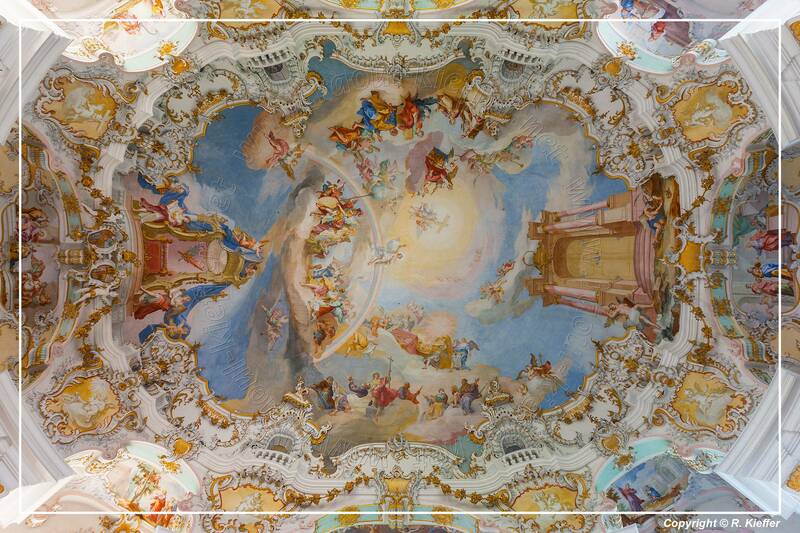 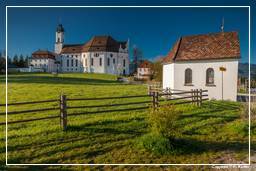 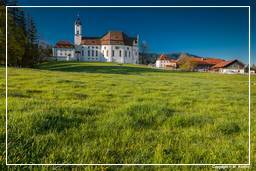 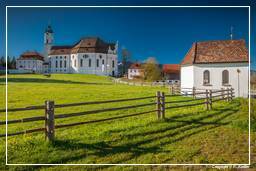 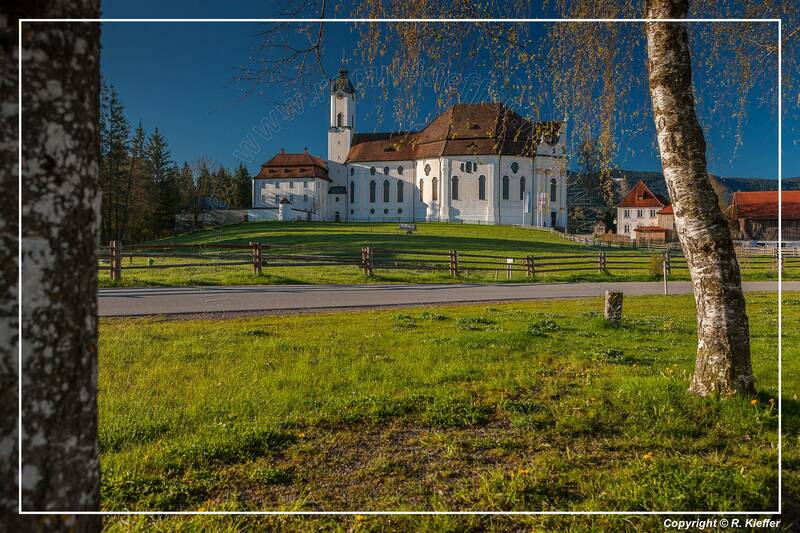 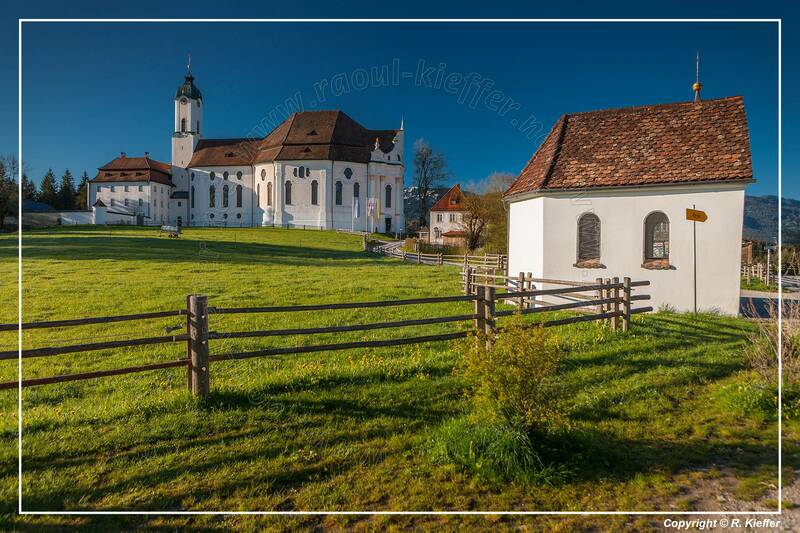 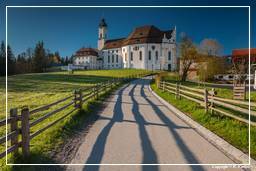 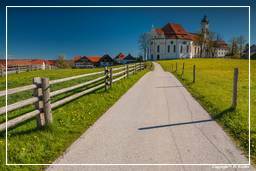 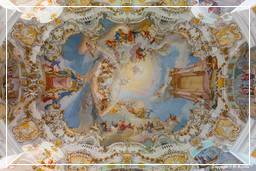 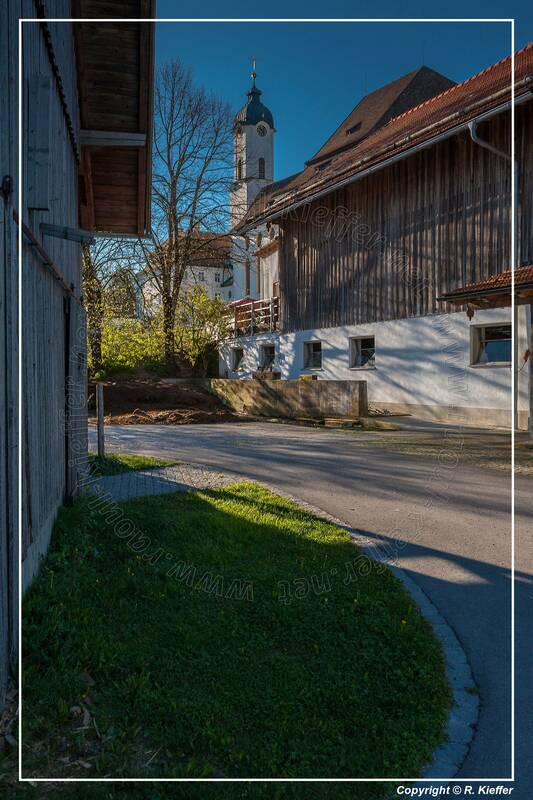 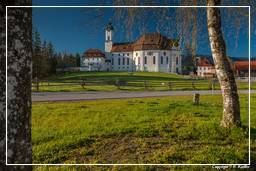 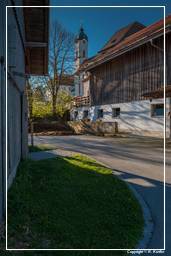 1983 the Wies Church was declared an UNESCO World Heritage Site and restored from 1985 to 1991.